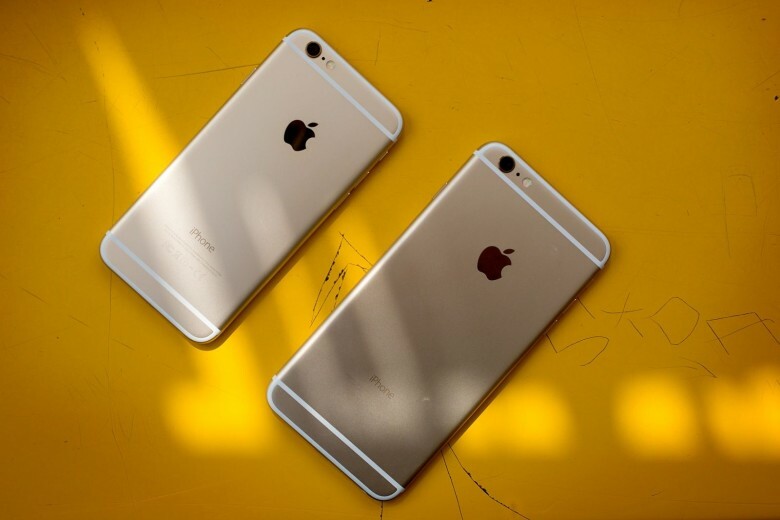 Both the iPhone 6 and 6 Plus can get Touch IC Disease. iPhone 6 Plus units are much more likely than their smaller siblings to get “Touch IC Disease,” the flickering gray bars that are appearing on the screens of a growing number of aging devices, according to a smartphone repair expert who helped bring the problem to light. Touch IC Disease, which affects the touchscreens of some older iPhones and renders them practically unusable, could potentially become a bigger problem for Apple than Bendgate, the “scandal” that followed the launch of the super-slim iPhone 6 line in 2014. The two controversies are actually related in way, according to iPad Rehab’s Jessa Jones, the independent smartphone repair shop owner who played a major role in revealing the latest design flaw Apple would rather you not know about. “Nearly 90 percent of devices with Touch IC Disease are iPhone 6 Pluses,” Jones told Cult of Mac, claiming iPad Rehab and other independent repair shops started noticing problems with iPhone 6 Plus units losing their touch sensitivity last year. What started with just a few reports a week has now turned into hundreds of weekly repair requests, she said. Apple introduced a small but major change with the iPhone 6 logic board that resulted in Touch IC Disease, Jones said. Instead of using a metal shield to protect the board like on the iPhone 5s, Apple instead added a sticker shield. The sticker doesn’t do nearly as good a job of protecting the chips on the board when the device bends. And because of the placement of the iPhone 6 Plus’ Touch IC chip, it’s especially susceptible to damage. The problem was initially associated with some sort of bend with the iPhone 6 Plus, but Jones says her shop is getting an increasing number of requests to fix Touch IC Disease on the smaller iPhone 6, too. The older the iPhone gets, the more likely it is to malfunction due to the flaw, she said. There’s really no foolproof way to steer clear of Touch IC Disease if you have an iPhone 6 or iPhone 6 Plus, but you can take some simple steps to stave off the symptoms, according to Jones. Keep your iPhone in a case. Don’t sit on your iPhone. Don’t keep your iPhone in your back pocket. Basically, treat your aging iPhone like the frail little baby that it is. Luckily, Touch IC Disease doesn’t affect the iPhone 6s and iPhone 6s Plus at all, because the touch chips were moved to the display to power the innovative 3D Touch feature introduced with last year’s model. If the chips in an iPhone 6s or iPhone 6s Plus ever go on the fritz, Apple can just swap in a new display. If you contract Touch IC Disease on your iPhone 6 or iPhone 6 Plus, Apple employees at your local Genius Bar will almost certainly tell you there’s no way to fix the device. And Apple will likely charge you to replace it. However, some reputable independent repair firms are able to resolder the Touch IC chip back onto its array for much less money than it would cost to replace the entire device. Having the Touch IC chip resoldered will void your warranty, but if you’re at that point it’s probably expired (or about to) anyway.